When there's work to be done, the Force 10 boots from Itasca will answer the call every time! Not only will these boots do the job, but at this price, they'll do it cheaper than the rest! These boots are a force to be reckoned with. 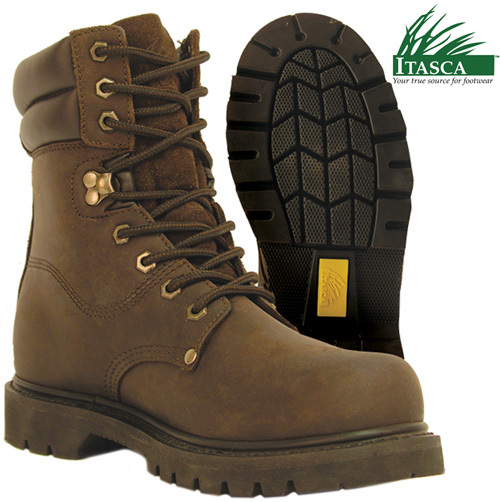 The Force 10 boots from Itasca features a safety toe for your protection, and a double padded collar for comfort. Other features include: welt construction, oiled full grain leather upper, and slip and oil resistant rubber outsole for superior traction on slippery terrains. Color: Hunter Green. Men's size 10.